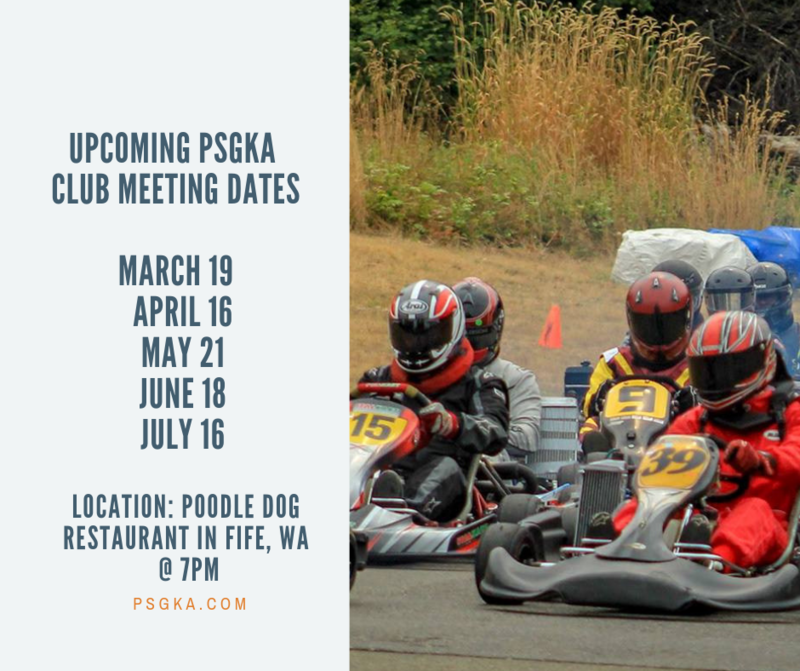 A reminder that the next PSGKA Club Meeting will be Tuesday, March 19th at 7pm at the Poodle Dog restaurant in Fife. We will be reviewing some important new rule changes and ideas for the club, so we’d love to see everyone there! PS: Also, below is a list of some of the upcoming PSGKA Club Meeting dates, so you can put them on your calendar. Your involvment helps this club work! *Important* 2019 PSGKA Rules and Code of Conduct available online!